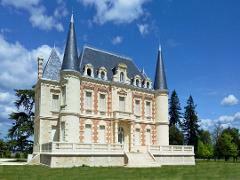 The wine region of Libournais encompasses much of what is referred to as the Right Bank. Named after its historical capital, the expression Right Bank typically refers to wines from the Pomerol and St-Emilion areas of the Libournais. 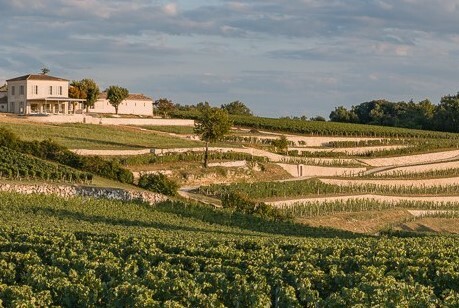 There are several villages around the region that share the Saint-Émilion name, such as Montagne-Saint-Émilion and St-Georges-Saint-Émilion that are named the satellite appellations. The area is bordered to the west by Pomerol. Merlot is the dominant grape in this area, followed by Cabernet Franc and a very small quantity of Malbec that is tending to disappear. The climate and damp, cool soils of the area make it difficult for Cabernet Sauvignon grapes to fully ripen and, as such, they are less often used. Saint-Émilion wines were first classified in 1955 and have been continuously revised with the most recent revision occurring in 2012. Chateaus are divided into two First Growth classification-Premiers Grands Crus Classés A, which currently includes Château Ausone, Château Cheval Blanc, Château Pavie and Château Angélus and Premiers Grands Crus Classés B which currently includes 14 chateaux such as Château Beau-Séjour Bécot and Château Figeac. Below the Premiers crus are the Grands Crus Classés which currently includes 63 chateaux. Your tour today will include the visit and wine tasting in 3 carefully selected winery of the right bank, a walking tour of the village as well as some free time for personal discovery. All tours are conducted by experienced english speaking driver/guides in comfortable and fully equipped Mercedes compact minibus or minivan depending on number of persons attending. Minimum 2 and Maximum 19 persons per tour.